Wish you all a Healthy Nutty LunaR New Year! Looking for a Unique, Healthy gift idea for CNY? 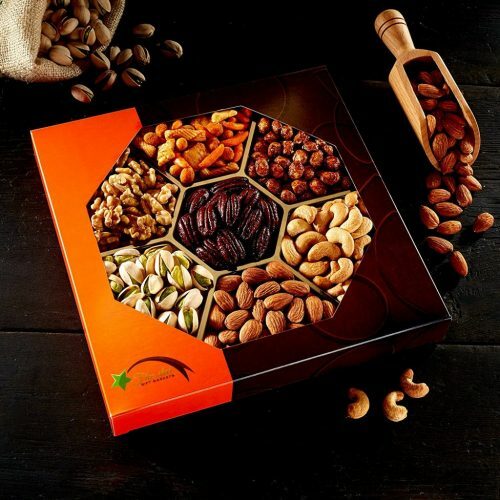 Your search stops right here, save the time and hassle shopping at the grocery store hoping to find something as delicious and beautifully wrapped as this Nutty Gift Box. 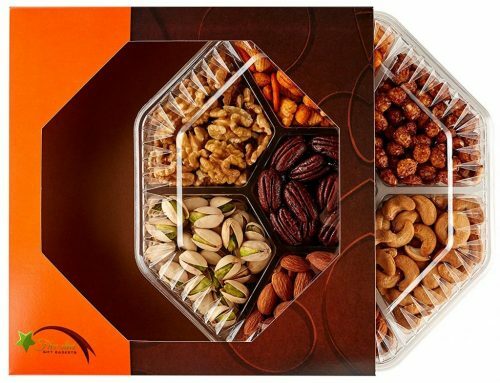 Each box contains 7 different high-quality nuts – Almonds, Pistachios, Cashews, Walnuts, Hot Cajun Mix, Honey-Glazed Pecans, & Honey-Glazed Peanuts. Imagine the joy you’ll bring when you present this thoughtful gift (especially to elderlies) this coming Lunar New Year. Order NOW before it’s too late! Sign up as a BuyandShip member today and get your items shipped to our US warehouse, and we will have your items shipped back to HK right before CNY!